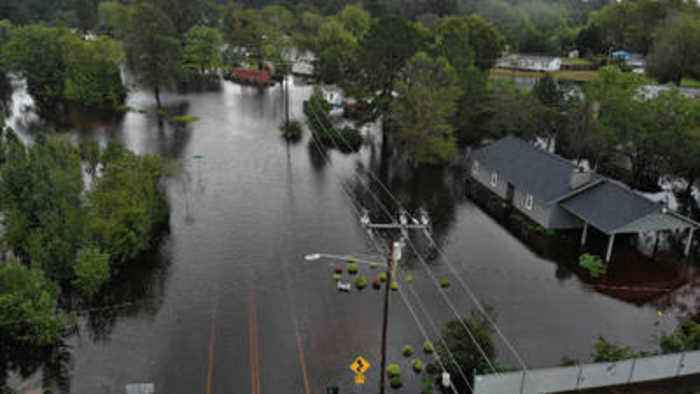 Florence's Death Toll Reaches 17 Eleven people have died in North Carolina, and six people have died in South Carolina due to the storm. Florence was downgraded to a depression by the National Hurricane Center (NHC). Additional rainfall was expected to continue to cause flash flooding NHC, via 'Time' Tornadoes also remain a possibility in the region. The storm is expected to continue moving northeast on Monday before veering off more to the east on Tuesday.